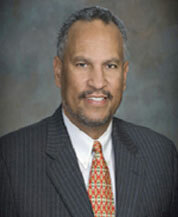 James N. Austin, Jr., is the broker and owner of Austin Company Commercial Real Estate, established by “Jim” in 1981. The Austin Company has served the Fort Worth-Dallas metro area with commercial real estate and property management services for over twenty-nine (29) years. Austin also served on the Texas Real Estate Commission, as a Commissioner for eight (8) years. He is a 1976 graduate of Howard University, Washington, D.C., receiving his BA in Business. As a realtor, his community service rendered him national recognition from the National Association of Realtors® as a recipient of the coveted Realtor® Magazine’s Good Neighbor Award in 2003. The Good Neighbor Awards recognize REALTORS® who’ve made an extraordinary commitment to improving the quality of life in their communities through volunteer efforts. Check out some of Jim’s other endeavors!